==>Scroll down to Sign Up Now! 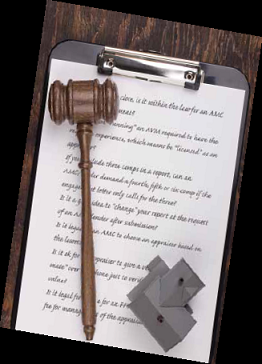 New Regulations require AMCs and Lenders to turn appraisers in to their State Boards for alleged violations of USPAP, in many cases, even when the appraiser has done nothing wrong. New rules also make it easy for disgruntled homeowners and agents/brokers to file complaints against appraisers, in some states, by way of a simple email form. Being turned in to you state board is serious business which can cost you time, resources and future work, even if the complaint is frivolous. The best course is to get expert advice on how to insulate yourself from complaints beforehand and learn how to deal with them effectively when they occur. So, what do you do when the State comes calling? In this new webinar, Complaints: What to do When the State Board Comes Calling, Tim Andersen, MAI and an AQB-Certified USPAP Instructor, USPAP Consultant and author (Beware of Consent Decrees; Understanding State Board Enforcement), explains how to defend yourself whether you’ve committed a violation or not. Andersen levels the playing field by showing you the State Board complaint process- what States are looking for, how to understand the charges filed against you and how to appropriately defend yourself. See how to insulate yourself from trouble and, should the worst happen, how to properly react to it to achieve the best outcome possible. Do you believe good appraising will keep you safe? According to Andersen, certain lenders are filing complaints on ALL loans that go bad, even when the appraisal is 5-10 years old. If you’re embroiled in trouble currently this webinar is a must. If you are not dealing with a state complaint or investigation now, this is your chance to get ahead of these issues. This webinar will prepare you for when trouble comes calling. Learn how to protect your license and your livelihood. Don’t miss this chance go inside the investigation/complaint process to protect yourself should the state comes calling! ***Full money back guarantee if you are not completely satisfied.